First off, let me just say that no one is paying me for these recommendations. 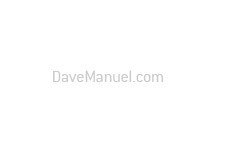 These are simply two companies that I believe deserve your business, for a variety of different reasons. You aren't stuck with having to use a full service broker. And you also aren't stuck with having to deal with an underperforming and aggravating discount stock brokerage. There are better alternatives out there, and here are two of them for you. I've used both of these brokers, and I can highly recommend both of them. As always, do your own due diligence, but I think that you will find that most people recommend these two brokers. Thinkorswim has a 91% rating on Elitetrader.com, while Interactive Brokers has a 77% rating. These are two of the highest ratings on the site. 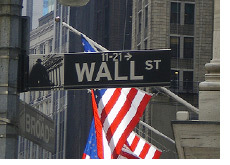 The two brokers that I can highly recommend? 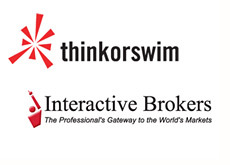 You guessed it - Thinkorswim and Interactive Brokers. Thinkorswim is an outstanding operation. They are an online brokerage that is run by traders, which means that they are constantly listening to their customers and improving on their product offerings. The company offers a number of different trading platforms. They have a desktop-based trading package, a website-based trading package and a mobile trading software package. With Thinkorswim, you are never going to be shut out from a potential trade. The software packages come with a number of bells and whistles. If you heavily utilize charting as part of your trading process, then you will certainly love Thinkorswim. Thinkorswim is also very strong when it comes to options trading. As a matter of fact, most options traders that I talk to refuse to trade anywhere else. The commissions are reasonable, and the customer service is outstanding. Thinkorswim would get a near perfect rating from me. Next up - Interactive Brokers. The best way to describe this outfit would be - "bare bones". But that's a good thing, as the company passes on savings to its customers. For an active trader with a smaller bankroll, Interactive Brokers is a godsend. The savings on commissions will be substantial. The software package that Interactive Brokers offers is definitely simple and "bare bones" - however, there are many third-party software packages that you can use to enhance your experience at IB. For instance, there are third-party charting packages that you can use in conjunction with IB. Again, you can't really go wrong with either place, and I would recommend them both.